Publicly auto will debut in Geneva. The design of a concept is similar to the quad bike. The novelty was equipped with a level 4 unmanned drive system, so it can be used as an auto car sharing. The length of the Minimo is 2500 mm, width - 1240 mm. The new car has the 17-inch wheels, one headlamp, panoramic roof, asymmetrical doors that open upwards. The layout of the car in the company made by 1+1 type. All technical part of the electric vehicle is classified. 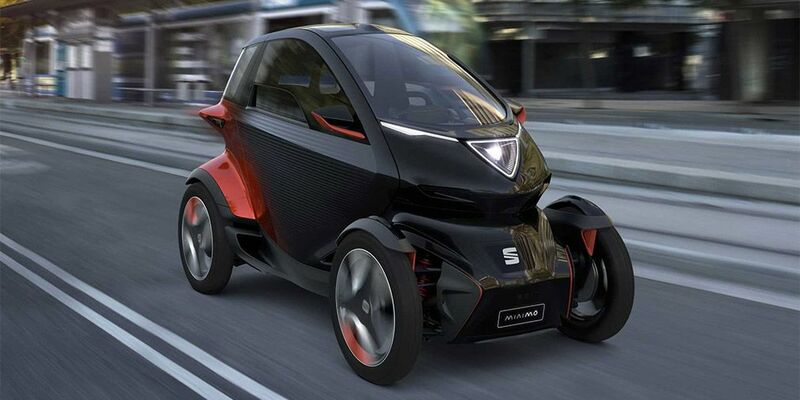 Seat only said that Minimo will travel 100 km in terms of the power reserve. Minimo connects to new 5G networks.